quickly became a magnet for all to take in. 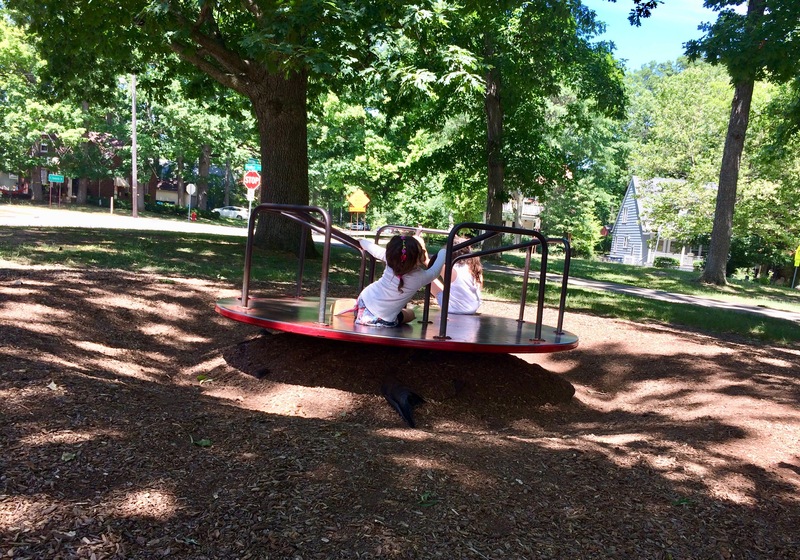 who can resist other kids and something that is spinning? I love seeing how kids at a playground make friends with each other. 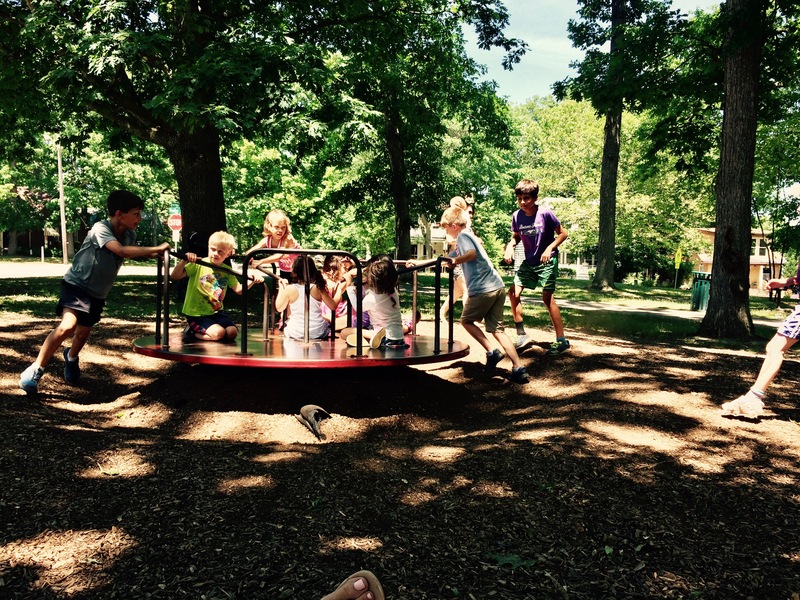 it all happened in an instant – when i turned around and looked back, kids were running to it and jumped on – so fun! You’re trend setters. 🙂 That’s a good thing to be. So much better than waiting around for someone with a good idea. Thank you for the fun reminder that smiles and laughter are attractive indeed, Beth. I love that expression, Beth! !